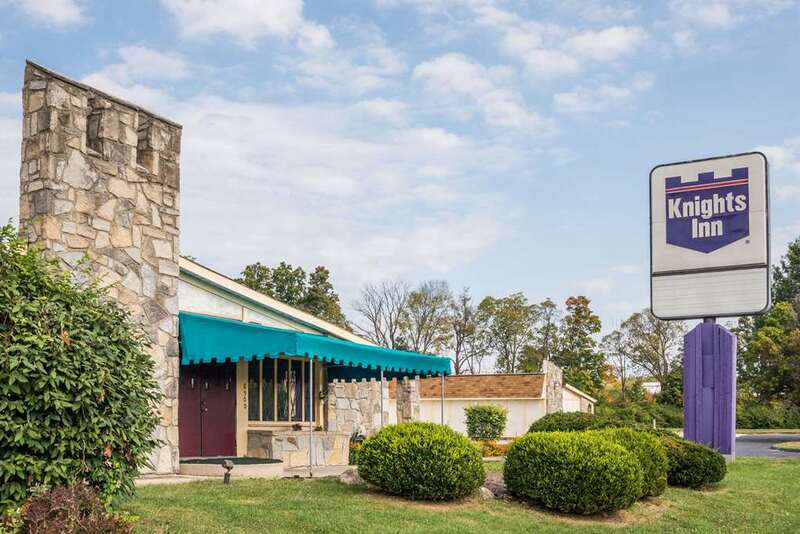 Knights Inn of Franklin, OH is located off the I-75/SR 73, located in a nice area, with Connecting Rooms and Exterior Corridors. Knights Inn is between Cincinnati and Dayton on 1-75, 1 mile from Miami Valley Dinner Theater and 20 miles from Kings Island. Nearby you can enjoy a round of Golf, or visit the Dinner Theater which is also nearby. Travelling on Business? We offer a Business Center, Copy and Fax Service, Long Term Parking and Efficiencies. We offer Handicapped Rooms/ Facilities including Phones for Hearing Impaired. We offer Free Parking, No Smoking Rooms/Facilities, Truck Parking, Television with Cable, Extra Bed at $5.00 per night. Microwave is located in the Vending area, Free local phone calls and free Coffee and Tea 24 hours a day, Cable and Satellite Television with Showtime and VCR.